The New Testament launches with an eyewitness account of the events of Jesus’ life from Matthew, a former despised tax collector who experienced a radical conversion and became one of Jesus’ own disciples. 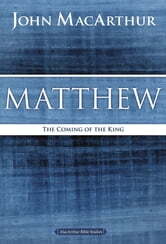 Matthew’s unique view interweaves his strong Jewish knowledge of the expected Messiah with his personal recollections of the flesh-and-blood Savior. In the process, he reveals the qualifications that prove Jesus was the promised Messiah: His miraculous birth, His response to the test of His kingliness, His inauguration, His miracles, His teachings, and His public ministry. 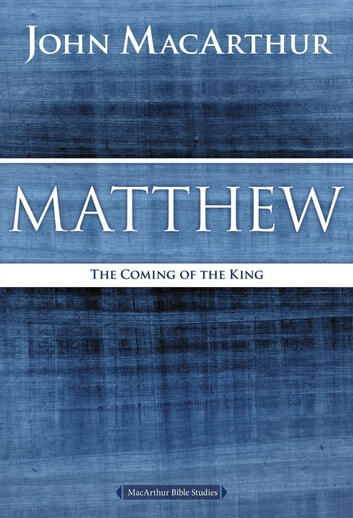 Every detail of the book of Matthew confirms Jesus’ deity and proves He is the Messiah of Israel and the Savior of the world.